This is my entry to this weeks challenge. This is probably my most favorite paper and color combination and I used them to complete a page for my son Alex and my great-niece Hanna. 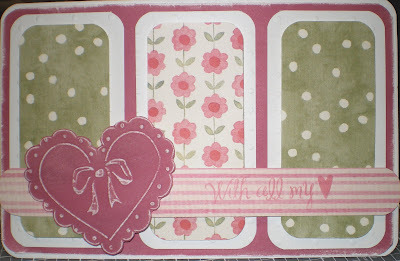 I decided to use the "scraps" to make this card. What a great balance of color and patterns, really great heart!